Freemake Music Box provides you with access to literally millions of freely available tracks which you can stream to your computer. This is great news for anyone who works with more than one computer. It may well be the case that you have purchased music on your computer but you want to listen to a particular track in the office. Rather than re-purchasing the same track, or hunting it down illegally, just fire up Freemake Music Box and you should be able to find what you are looking for. 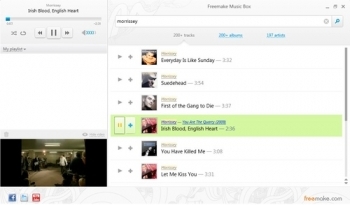 Freemake Music Box is essentially a music player with a built in search engine. 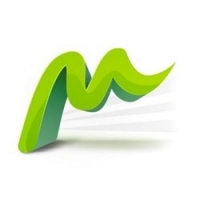 After launching Music Box, simply enter the artist, album or track you’d like to listen to ad hit Enter. From the list of search results that is displayed you can opt to play individual entries or add them to a playlist which can be shuffled or played on repeat.